Unmanned ground vehicles (UGVs) certainly seem to have a lot of potential. They can be used to spray pesticides on a large farm to boost crop yields, for example, or to move materials at a mining site. You might see a UGV patrolling a facility late at night, or handling snow removal on roadways during the winter months. While some of these capabilities are already taking shape, manufacturers and researchers are looking for more ways to incorporate UGVs of all sizes into various operations. 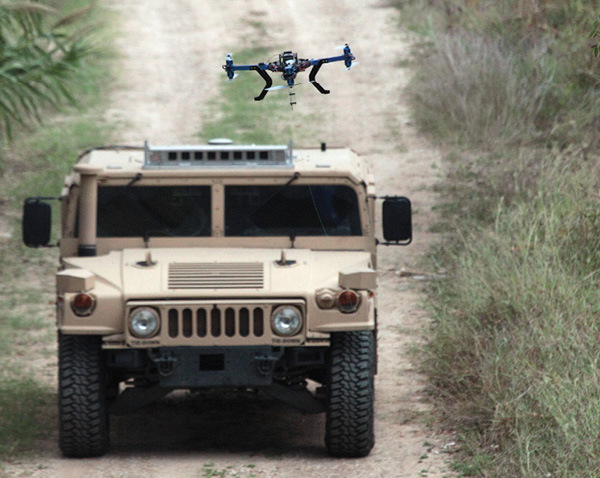 Like unmanned aerial systems (UAS), these vehicles can handle dangerous jobs so people don’t have to, while also saving the companies who use them time and money. UGVs can make operations more efficient, address growing labor shortages and even cut down on vehicle repair and maintenance costs—making them an attractive option for a variety of businesses, said Mel Torrie, president and CEO of Autonomous Solutions. 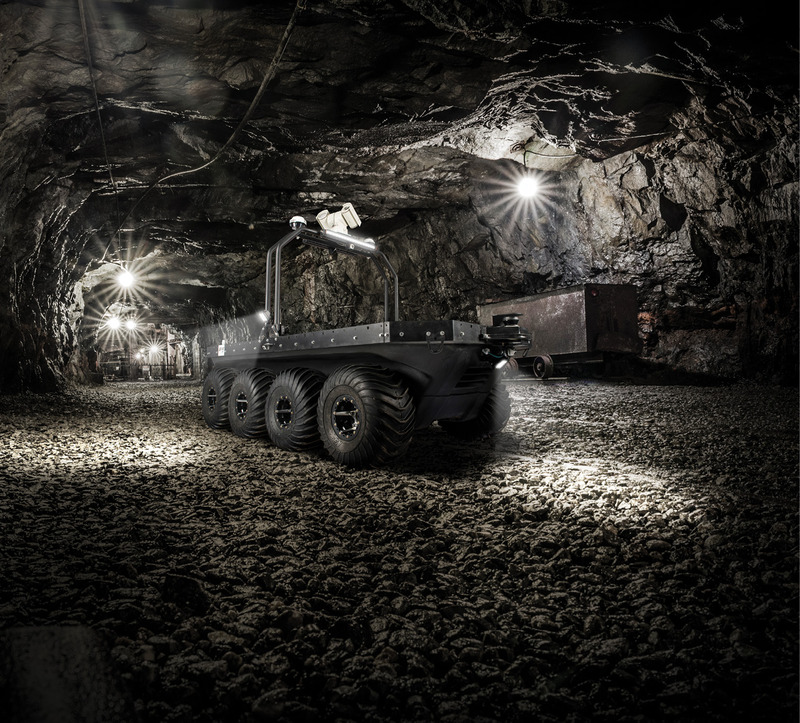 UGVs are already playing a significant role in the mining industry. Miners in Africa, for example, are trained on the Mobius software from Autonomous Solutions and are using truck fleets to haul large amounts of coal from point A to point B, Torrie said. UGVs also can be used to map a mine site to support search and rescue missions, said ARGO Robotics Program Director Jason Scheib. If there’s a cave-in, a UGV can quickly survey the area to determine if it’s safe to send in rescuers. It also can communicate with the victim, deliver supplies and even retrieve people. After a blast is completed underground, workers usually need to wait a certain amount of time to let it ventilate before they can enter, said Peter Visscher, ARGO chief technology officer. UGVs don’t have to wait. They can go in and start taking scans right away—saving time without putting workers at risk. UGVs also can be used to make mines more profitable, said Ilia Baranov, engineering manager for research solutions at Clearpath Robotics. Clearpath manufactures industrial unmanned vehicles for warehouses and develops platforms that researchers use for testing and teaching. To perform any of these missions, the machines must know their location in the mine at all times relative to other machines, said Jim Hawkins, director of the Machine Design Center at Caterpillar. 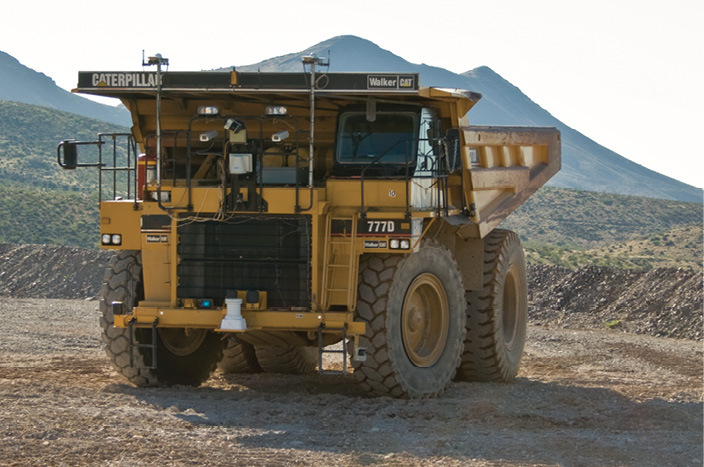 Caterpillar’s Cat Command, a suite of autonomy technologies, employs LiDARs, radars and GPS to do that, ensuring the vehicles operate safely. Many mining sites are facing shortages of skilled labor, Torrie said, which is another reason UGVs are attractive. The sites are often located in remote areas, and it’s not easy to find workers who are willing to travel to them. With UGVs, mining firms have more ways to up productivity. 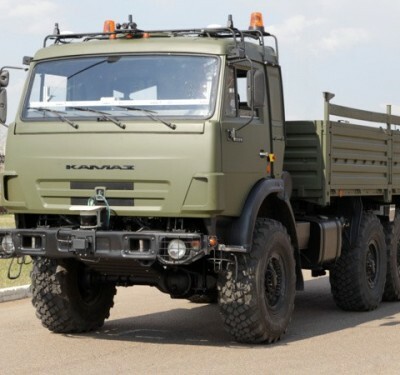 While mines are starting to show interest in UGVs and some are already using them, implementing these vehicles does come with challenges, Baranov said. Robots actually tend to be more cautious than humans, he said, and do their best to avoid sustaining any kind of damage. For example, traditional vehicles often need to drive close to the wall to perform a task—and that means they’re going to get scraped. It’s difficult for a UGV to identify when a scrape is OK and when there’s actual danger, so in some cases they tend to drive slower than a human would. That said, the technology already exists to fully automate a mine today. The main challenges to making it happen, Hawkins said, are social and political. And when mines implement this technology, they’ll have a fleet of vehicles that can talk to each other to efficiently perform a variety of tasks, Torrie said. With Mobius, the vehicles communicate through the command center, so they’re all aware of each other. And these vehicles will have capabilities that aren’t possible today. For example, they won’t have to turn around to go another direction. They can just drive backwards. The direction of travel is no longer important when you don’t have a human in front watching for obstacles. Security represents another large opportunity for UGVs, which is why SMP Robotics Systems is mostly focusing its efforts in this area, CEO Leo Ryzhenko said. Facilities and large corporations can lease the UGVs to patrol an area. Each SMP S5 autonomous vehicle is trained to look for intruders. If the robots spot something that doesn’t look right, the human security guard gets a message telling him or her to check it out. The security robots are more effective than video cameras, Ryzhenko said, and he expects them to become the norm in the next five years. The robots are integrated with Milestone Systems Software and have one control center, Ryzhenko said. They move independently—no human interaction is required. When their batteries run low, they return to the charging station for a boost and then head back to their patrol area. 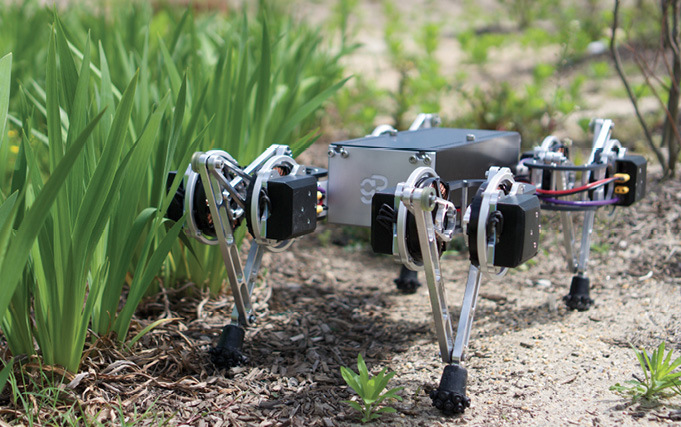 Farming is one of the industries that could benefit most from UGVs. These platforms can be used for just about anything typically done using a tractor including spraying, mowing and tilling, Torrie said, with his systems offering advanced path-generating algorithms to calculate efficient row coverage patterns for spraying and mowing. Because they’re ground based, these vehicles also can provide more complete crop evaluations, Scheib said. Drones are often deployed to obtain the view from overhead, but they typically can’t see what’s below the leaves. Like mining operations, farms are facing labor shortages, Torrie said. 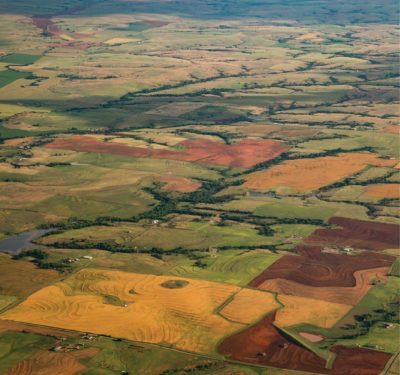 The fact children just aren’t coming back to work on family farms any more, combined with the increase in minimum wage and recent moves to tighten U.S. borders, makes it difficult for some farms to stay staffed—to the point that harvests are being threatened. Brad Lukac, who manages the autonomous technology programs for CNH Industrial, expects larger corporate operations to invest in UGVs first. These mega farms will start using UGVs for the tasks they perform every day, such as mowing and spraying between vines in a vineyard, to realize the highest return on investment (ROI). From there, company leaders will look to implement UGVs in other applications we probably haven’t even thought of yet. 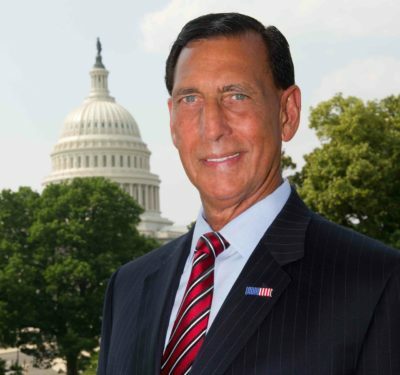 Smaller operations will begin to follow suit as they realize the benefits, Lukac said, which include the ability to make better use of unskilled labor. While mining, security and agriculture seem to get the most attention, there are other areas that can benefit from implementing UGVs. The team at ARGO, for example, recently worked with a customer who needed to install solar panels on a field about the size of a golf course. To do that, they had to put screws in the ground to mount each panel. Typically, this task is done manually, which means someone surveys the area with a GPS locator. With that method, about 200 holes can be completed in a day. When they deployed a UGV, that number rose to 1,000. ARGO’s J5 platform features a drill system with RTK GPS, so it was able to map out several thousand holes and then autonomously drill them as it moved along its pre-determined path. The UGV was supervised to make sure it could safely traverse the terrain and that it didn’t drill into hard rock surfaces. Forestell of Dozr also sees UGVs changing the way snow removal is handled. 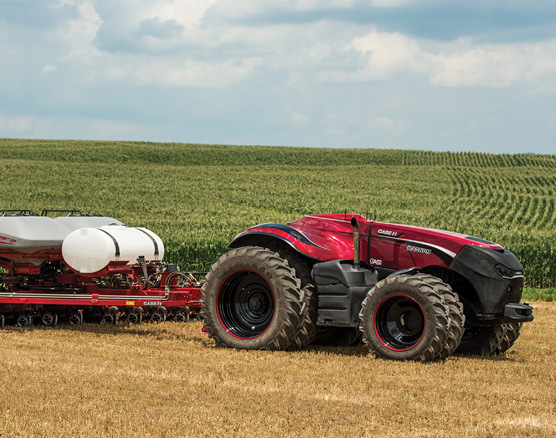 There are companies working on deploying UGVs for precision planting, he said, which means the tractors will be able to map out the parameters of a field to avoid obstacles as they plant. That type of technology would also play well in the snow removal industry. Jeremy Bos, assistant professor at Michigan Technical University, uses the Clearpath Jackal and Husky UGVs as teaching tools. He sees UGVs being deployed to monitor forestry land and to map archaeology sites. Adding LiDAR and high-precision GPS to these systems will enable them to handle much of the field work so archaeologists can focus on other tasks. One of Bos’s colleagues is looking into how to use UGVs to create a power grid, he said. During a disaster, first responders could quickly set up their base of operations along with their power source using UGVs. The oil and gas industry also can benefit from UGVs, Ryzhenko said—an area he plans to get more involved with in the future. The robots would work similarly to the ones designed for security, but come equipped with sensors that can detect natural gas leaks as well as hazardous materials. This would help prevent accidents, keeping employees safe. Construction is another industry that is starting to look toward UGVs, Torrie said. The specific applications would be similar to those at mining sites: moving materials, bull dozing, back hoeing, digging trenches and excavating. Before UGVs become more common place, Visscher and Scheib of ARGO agree customers will have to see the value. A pay back measured in 10 years is simply not acceptable; that pay back has to come in 2, 3 or 4 years—and that means getting the cost down. 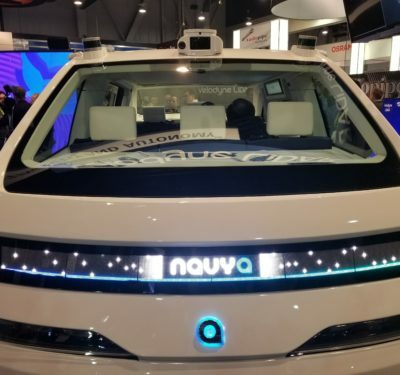 The LiDAR and high-quality 2-D and 3-D sensors that come with these vehicles are typically pretty expensive, but UGVs can benefit from the work being done to make these more affordable for autonomous consumer vehicles. If you look at where UAS were seven or eight years ago, that’s where UGVs are today, Scheib said. The platforms are moving from hobby grade to professional, and we’ll continue to see these advanced systems used more and more. Part of the challenge is UGVs can’t be offered as a one size fits all solution; every customer has different needs and limitations. The vehicles also must have robust obstacle avoidance capabilities. When traveling outside, they need to be able to differentiate between a harmless blade of grass and a potentially damaging steel rod—which is why it’s so important to develop high-quality, affordable sensors for these systems. Lukac, of CNH Industrial, also expects to see more UGVs, at least in the agriculture industry, to start to take off in the next five years or so. The early adopters will invest in the technology, enabling others to see the benefits. Regulations also will be established, helping to guide integration. Full autonomy is a possibility, but probably not for another 20 or 25 years, Lukac said. When that happens, tractors could even continue working at night while their owners sleep. For now, manufacturers will educate business owners about the benefits UGVs offer and focus on advancing the technology so it makes their operations even safer and more efficient.